1 Piece Ponytail Headband. - Ponytail hole design, provides a snug solution for your workout. - Perfect for skiing, snowboarding, running, trekking, climbing, yoga, working outside, gardening. - Full ear coverage to keep you warm and provide extra protection. Black Fur Hat with Built in Scarf. I think the fur may be rabbit or mink. Condition is Pre-owned. Short brim, simple and stylish. Material: Wool. 1x Hat(The Other Accessories Are Not Included) Note This hat size information is just for reference only. Strap Type: Adjustable. Color: Black. Captain Morgan Custom Trucker Hat. 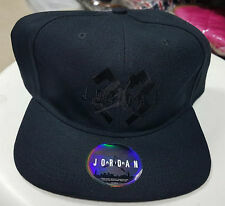 Size: Adjustable Snapback. 3 ½” crown. Adjustable double plastic tab back. Color: Black. Pre-curved visor with braid detailing. AC Milan Training Cap Hat Black Unisex PUMA. Eastex Black Faux Fur Hat. Polyester fur. Fully lined. This is a pre-loved item, I do my best to list all faults/marks/scratches when it is appropriate.